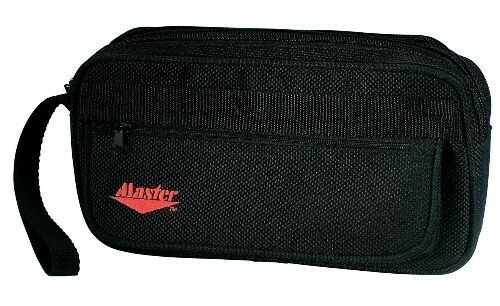 This bag is great for storing your grip sacks, microfiber cloths, tape, bowlers tools and other miscellaneous bowling items! Hello! the bag is 5.25 X 10.5 X 2 inches. The graphic does not show the interior. Is this item returnable? Yes, this item is returnable. Due to the time it takes to produce the Master Pro Deluxe Accessory Case ball it will ship in immediately. We cannot ship this ball outside the United States.